Miles Davis, George Gershwin, these are illustrious two names that have become synonymous with pioneering jazz music. Unlike today's popular music where image sometimes threatens to overshadow genuine musical talent, jazz retains a tremendous amount of musical integrity and respect and continues to be a very popular, if perhaps niche genre. 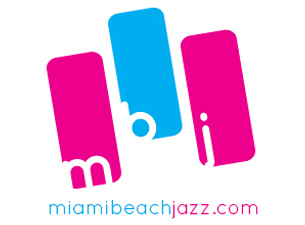 If you're a fan of jazz music or simply have an appreciation for it, you may want to schedule some time to attend the Miami Beach Jazz Festival. This year's theme is the “International Sound of Jazz” and in keeping with the theme, a host of diverse musical acts from different places around the world will be performing, including Australia, Israel, France, and Brazil. Some of this year's notable festival participants include saxophone player Daniel Zamir whose 2000 debut album, Amen brought jazz to mainstream Israeli audiences and became the bestselling jazz album of all time. Also set to make an appearance is The Markus Gottschlich Trio featuring an eclectically diverse group of members. The Miami Beach Jazz Festival began on Monday and ends tomorrow with performances at Miami's historic Olympia Theater. 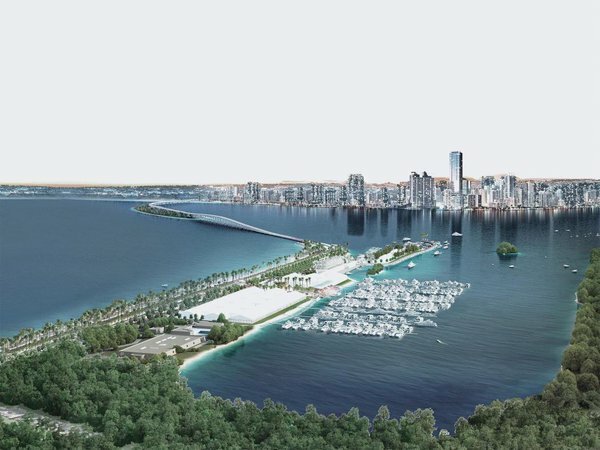 Miami Beach's Collins Park has recently been getting a lot of attention, and one of the latest developments that's making it even more appealing is Sweet Liberty Drink and Supply Company by Miami bartender John Lermayer. 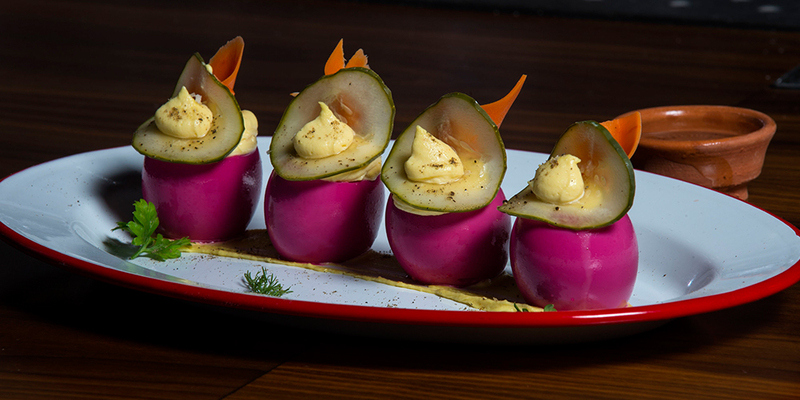 Featuring American food and a top notch list of cocktails with an unpretentious vibe, the hotspot is a collaborative effort with fellow bartender Dan Binkiewicz and restaurateur David Martinez. Sweet Liberty Drink and Supply Company is part of a movement being referred to as the “new Miami Beach”. It is located near the Bass Museum of Art and features an ambiance designed to appeal to everyone. Wine-based drinks, spirits, sodas made in-house, the drink selections perfectly complement the “gastropub-style” food and the unique takes on longtime food favorites like cauliflower nachos. The eatery also sets itself apart with its collection of barware, including artwork, books, and music. Sweet Liberty Drink and Supply Company is located at 237-B 20th Street, Miami Beach, FL, 33139. It is open seven days a week from 4 pm to 5 am, perfect for enjoying a late night bite or drink with friends, loved ones, or your significant other. At THERAPY-IV, the focus remains on ensuring that all clients receive an unforgettable deep sea fishing charter boat experience. 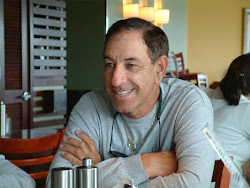 Captain Stan Saffan has been navigating the cerulean seas of South Florida for decades, showcasing the various aquatic wildlife to numerous satisfied clients. In fact, THERAPY-IV is currently rated number one out of 54 in TripAdvisor's Boat Tours & Water Sports in Miami Beach category. More than 800 individuals have given THERAPY-IV five stars, earning TripAdvisor's Certificate of Excellence. A quick perusal of TripAdvisor reviews show many satisfied clients singling out the various fish that were caught and the appeal of THERAPY-IV for individuals regardless of their age. If you're interested in reading THERAPY-IV reviews or if you've been on the boat and would like to share your unique experience, visit the TripAdvisor page at this link: http://www.tripadvisor.com/Attraction_Review-g34439-d1880506-Reviews-Miami_Deep_Sea_Fishing_Charter_Therapy_IV-Miami_Beach_Florida.html. You'll find THERAPY-IV at the following address: 10800 Collins Avenue, Haulover Marina, Miami Beach, FL 33154. Our hours are 8:00 am to 5:00 pm. Book a fishing trip today and see why THERAPY-IV is number one! Last time the spotlight was on the upcoming Miami Boat Show kicking off on February 11th at Virginia Key. In keeping with the nautical theme, there is a complementary event going on at the same time called Yachts Miami Beach. 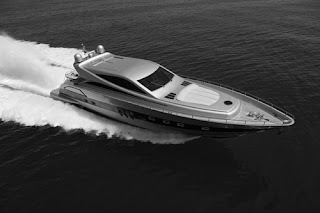 Formerly known as the Yacht and Brokerage Show, the showcase of luxury yachts turns Collins Avenue into a stunning presentation of some of the most innovatively designed yachts and superyachts in the world designed by a global array of custom boat builders. Now in its 28th year, the water-only show encompasses over 1.2 million square feet and a mile-long section of the Indian Creek Waterway, presenting new and previously owned vessels for sale collectively valued at over a billion dollars. This year's Yachts Miami Beach show will have an entirely new boat section found between Ramps 6 to 8 presenting vessels from a number of names including Ocean Alexander, Neptunus, Absolute, Chey Lee, and more. Admission is free to the public or you can purchase a VIP ticket for one day or all three days of the event. The show begins on February 11th on the Indian Creek Waterway and Collins Avenue at 10 am until the 15th. South Florida's penchant for being a boater's paradise is well-deserved. With its many beaches, location near the Atlantic Ocean and focus on a waterfront lifestyle, cities like Miami and Miami Beach focus heavily on those who like to sail the open seas. You've likely seen the various cruise ships at the Port of Miami as you're making your way into Miami Beach and these ships are a complement of sorts to the Miami International Boat Show. A playground for anyone who works in boating, follows the industry or is simply a sailing fan, the Miami International Boat Show features a huge variety of boating vessels for sale that include elegantly luxurious yachts, catamarans, inviting sailboats, and personal watercrafts. 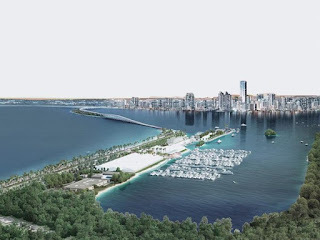 In previous years, the annual event has been held at the Miami Beach Convention Center but this year's incarnation is moving things over to the Miami Marine Stadium Park & Basin in Virginia Key. Expect to see over 1,000 different boats on land and on water plus a tent that will have exhibits, boating gear, gifts for purchase, accessories, and much more. The show begins on February 11th and continues for five days. Are you aware that January is considered Miami Antique Month? 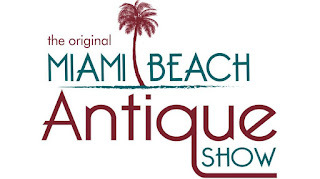 It's also when the third annual Original Miami Beach Antique Show will kick off later this month at the Miami Beach Convention Center beginning on the 28th until the first of February. 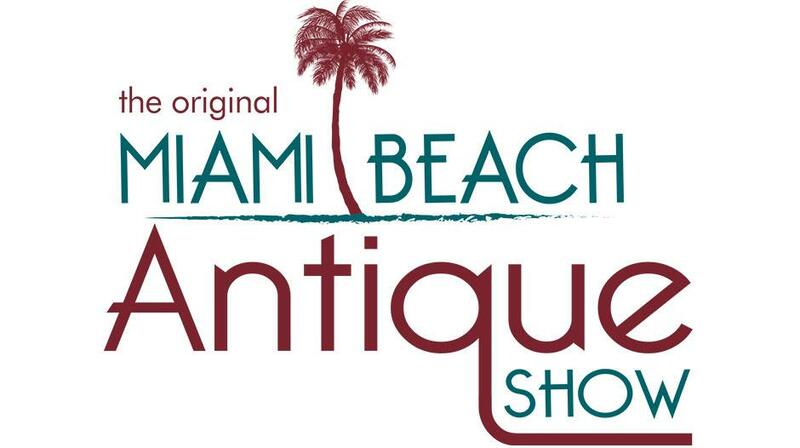 Numerous dealers and collectors will be traveling to South Florida to explore the vast assortment of antique dealers displaying their unique pieces during the three-day event. It serves as a segue into and is also a sponsor of Miami Beach's popular Art Deco Weekend. Do you have an old family heirloom you're curious about or maybe something that's been sitting around for decades you may wish to have appraised? Part of the whole antique experience includes Appraisal Day on January 30th which takes place from 12-5 pm. Anyone with a valid ticket can bring a single item to be appraised by a professional and will receive a verbal estimated range of its market value. Appraisal Day will be held at the convention center's second floor. If you plan on attending the Miami Beach Antique Show, also make sure to stop by the bar on Ocean Drive and try the show's signature Antiques on the Beach cocktail. Part of the appeal of fishing in South Florida is the inimitable sunshine radiating off of the brilliantly blue waters. After all, there's a reason why Florida's official nickname is “The Sunshine State”. With all of that sunshine, however, it's important to take the proper steps to protect your eyes from the glare of the water and harmful UV rays. 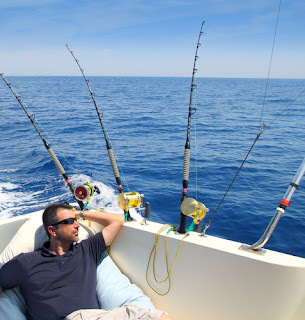 Hence, you'll want to find and keep a good pair of boating sunglasses around whenever you decide to go deep sea fishing. Look for a pair of sunglasses that have polarized lenses. These differ from regular sunglasses in that instead of dampening multiple types of light, polarized lenses block horizontal wavelengths but still allow the passing of vertical wavelengths. With these lenses, the glare of the sun off of the water is reduced, allowing a clearer view of what's in the water when you're fishing. You may also want to stick with a dark tint as these work best on bright days. While it may be tempting to buy a pair of sunglasses that wrap around the face, a flatter lens will have less distortion and, therefore, reduce the odds of an image appearing distorted. In turn, you'll reduce the chances of experiencing headaches or eye fatigue.